For the daughter of Elizabeth II, see Anne, Princess Royal. Anne, Princess Royal and Princess of Orange (2 November 1709 – 12 January 1759  ) was the second child and eldest daughter of King George II of Great Britain and his consort Caroline of Ansbach. 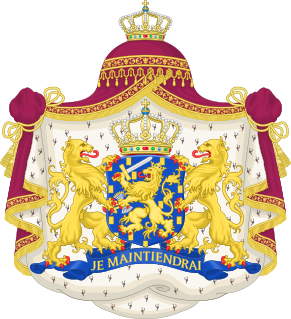 She was the spouse of William IV, Prince of Orange, the first hereditary stadtholder of all seven provinces of the Northern Netherlands. 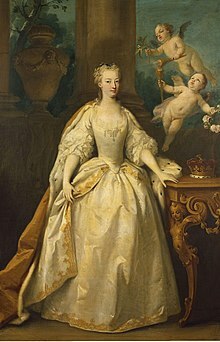 She was Regent of the Netherlands from 1751 until her death in 1759, exercising extensive powers on behalf of her son William V. She was known as an Anglophile, due to her English upbringing and family connections, but was unable to convince the Dutch Republic to enter the Seven Years' War on the side of the British. 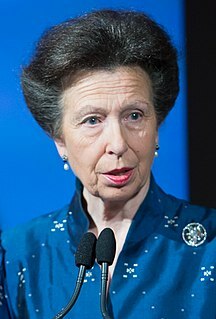 [ citation needed ] Princess Anne was the second daughter of a British sovereign to hold the title Princess Royal. In the Netherlands she was sometimes known as Anna van Hannover. 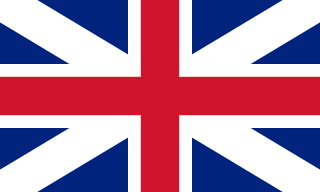 The Kingdom of Ireland was a client state of England and then of Great Britain that existed from 1542 until 1800. It was ruled by the monarchs of England and then of Great Britain in personal union with their other realms. The kingdom was administered from Dublin Castle nominally by the King or Queen, who appointed a viceroy to rule in their stead. 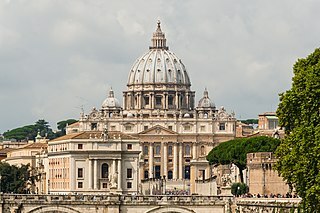 It had its own legislature, peerage, legal system, and state church. Variolation or inoculation was the method first used to immunize an individual against smallpox (Variola) with material taken from a patient or a recently variolated individual in the hope that a mild, but protective infection would result. The procedure was most commonly carried out by inserting/rubbing powdered smallpox scabs or fluid from pustules into superficial scratches made in the skin. 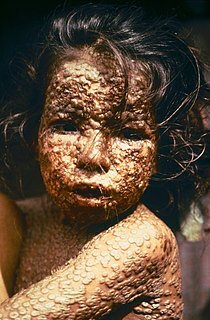 The patient would develop pustules identical to those caused by naturally occurring smallpox, usually producing a less severe disease than naturally acquired smallpox. Eventually, after about two to four weeks, these symptoms would subside, indicating successful recovery and immunity. The method was first used in China and the Middle East before it was introduced into England and North America in the 1720s in the face of some opposition. The method is no longer used today. It was replaced by smallpox vaccine, a safer alternative. This in turn led to the development of the many vaccines now available against other diseases. Lady Mary Wortley Montagu was an English aristocrat, letter writer and poet. 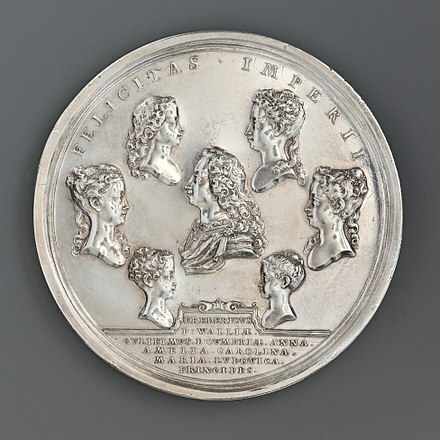 Lady Mary is today chiefly remembered for her letters, particularly her letters from travels to the Ottoman Empire, as wife to the British ambassador to Turkey, which have been described by Billie Melman as "the very first example of a secular work by a woman about the Muslim Orient". Aside from her writing, Lady Mary is also known for introducing and advocating for smallpox inoculation to Britain after her return from Turkey. Her writings address and challenge the hindering contemporary social attitudes towards women and their intellectual and social growth. 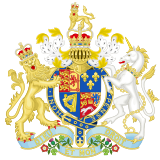 On 30 August 1727, George II created his eldest daughter Princess Royal, a title which had fallen from use since its creation by Charles I for his daughter Mary, Princess of Orange in 1642. Anne was not well liked by the people of the Netherlands and did not get on well with her mother-in-law. She was perceived as haughty, with a belief in British superiority over the Dutch; she appeared to isolate herself with her interests in music and literature; and she was accused of displaying little consideration for her courtiers, for example by forcing her ladies-in-waiting to read for her for hours, ignoring their fatigue. Her relationship with William, however, which was at first distant, eventually developed into harmony and intimacy, which is displayed in their correspondence. 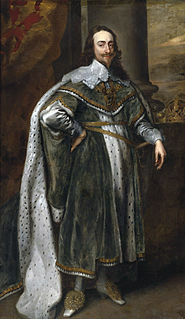 In 1747, William became Stadtholder of all the Seven United Provinces, and this was followed by a constitutional reform which made his new wider authority hereditary. William and Anne moved to the Hague, where Anne introduced Händel to the Netherlands: he accepted her invitation to her music life at the Hague in 1750. The composer Josina van Aerssen was one of her ladies-in-waiting. Princess Amelia of Great Britain was the second daughter of King George II of Great Britain and Queen Caroline. George de Lalaing count Rennenberg, was stadtholder of Friesland, Groningen, Drenthe and Overijssel in the service of Philip II of Spain from 1577 to 1581. The Lalaing family came from Hainaut and had a tradition of governing. 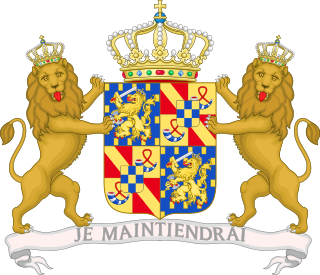 His father was Philip de Lalaing, count of Hoogstraten; his mother, Anna of Rennenberg. Active warfare throughout history has mainly been a matter for men, but women have also played a role, often a leading one. While women rulers conducting warfare was common, women who participated in active warfare were rare. The following list of prominent women in war and their exploits from about 1500 AD up to about 1700 AD. Elisabeth Bas was a business person in the Dutch Republic. She was the spouse of Jochem Hendrickszoon Swartenhont. Eva van Marle was possibly a Dutch Golden Age painter active in Overijssel. Eva van Marle would have worked as a portrait painter in Zwolle around 1650. Karl Georg August, Hereditary Prince of Brunswick-Wolfenbüttel was the heir to the Duchy of Brunswick as the eldest son of Charles William Ferdinand, Duke of Brunswick-Wolfenbüttel and Princess Augusta of Great Britain. 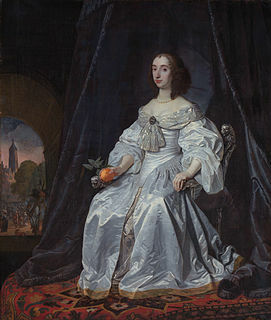 ↑ Princess Mary (born 1631), the daughter of Henrietta Maria and Charles, became the first Princess Royal in 1642. ↑ Vickers, David. "Programme Notes for "Parnasso in Festa"" . Retrieved 17 May 2014. ↑ Lang, Paul Henry (2011). George Frideric Handel (reprint ed.). Dover Books on Music. pp. 249–50. ISBN 978-0-486-29227-4. ↑ djr (20 March 2017). "Digitaal Vrouwenlexicon van Nederland" . Retrieved January 13, 2014. 1 2 3 djr (20 March 2017). "Digitaal Vrouwenlexicon van Nederland" . Retrieved January 13, 2014. 1 2 3 4 5 6 djr (20 March 2017). "Digitaal Vrouwenlexicon van Nederland" . Retrieved January 13, 2014. ↑ Clayton, Ellen Creathorne. English female artists, volume 2 (London, Tinsley brothers, 1876) p. 81 ff. ↑ "Heritage - Areas of Interest". Town of Princess Anne. Retrieved 1 November 2018. ↑ Genealogie ascendante jusqu'au quatrieme degre inclusivement de tous les Rois et Princes de maisons souveraines de l'Europe actuellement vivans [Genealogy up to the fourth degree inclusive of all the Kings and Princes of sovereign houses of Europe currently living] (in French). Bourdeaux: Frederic Guillaume Birnstiel. 1768. p. 55.